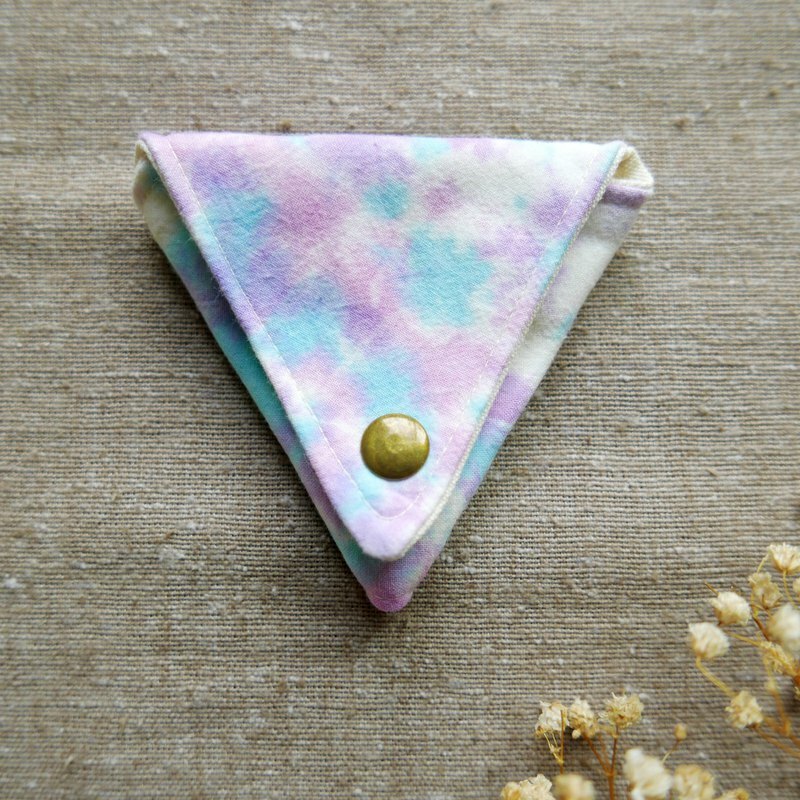 **☀ Handmade Tie dye Triangular Coin Case ☀** | From dying to sewing, all process are 100% handmade. **Our products are all handmade; each one cannot be 100% identical. ** **If you have any questions, please send us a Pinkoi message. ** **☀ Handmade Tie dye Triangular Coin Case ☀** | From dying to sewing, all process are 100% handmade. | Suitable for organizing earphone or coins. | Hand dyed fabric used, each one product is unique and beautiful. **/ size /** 10cmx 10cmx 10cm **/ Materials /** Handmade tie-dyed cotton fabrics **/ Notice /** **We do not accept returns or exchanges for customized products. ** **✐Color issue** ►This is a handmade product and therefore may not look exactly the same as that shown in the photos. ►Please allow for some variation in color between different devices and screens. Actual colors may be slightly different from that shown in the photos. **✐ Washing instructions** ► Every product has been fixing dyed and washed before shipping. ► Please wash the product by hand following the steps: Soak it in water for 10 minutes, gently rub the cloth together with hands, and hang it to dry. Cleaning in a washing machine is not recommended. ► Please do not use detergent containing bleach ingredients. It may cause the color to change. ► Do not use the dryer or expose the product to sun light. Hang it up and let it dry naturally. **✐ Shipment** ►Orders are processed from Monday to Friday (UTC+8, Taiwan). All orders placed on weekends will be shipped on Monday. ►The shipping time depends on the logistics companies. Design in Taiwan, Made in Taiwan.